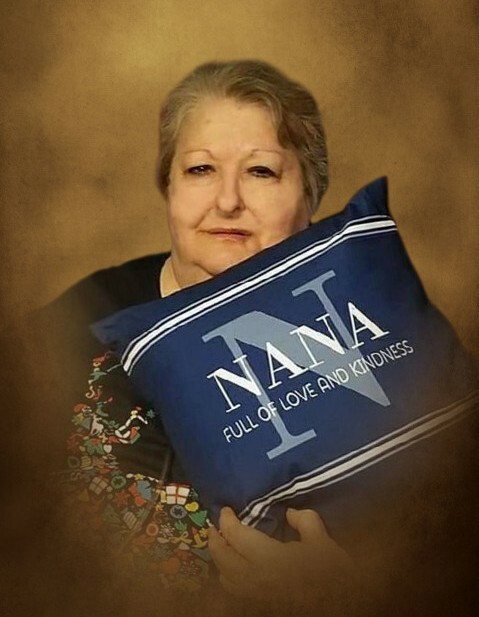 Diana “Nana” Huskey England, 65, of Resaca, died at Assurant Hospice in Cartersville on Saturday, March 23, 2019, following several years of declining health. Diana was born in Ft. Oglethorpe on January 7, 1954. She was preceded in death by her mother. Lavenia Rhinhardt Huskey; her brother, Donnie Huskey. Diana was a loving and devoted wife, mother, and grandmother. She treasured the time she spent with her family. She was an avid reader and an animal lover. Prior to her ill health, Diana had worked with Sunrise Mills, World Carpet, and Mohawk. Diana is survived by her husband of more than twenty-one years, Larry England; her sons, Jim Nicola and his wife, Angie, and Chris Nicola and his girlfriend, Cathy; his daughter, Tuesday Lanier and her husband, Sidney; her grandchildren, Jessica, Michael, Shannon, Dawson, Devin and Makayla; her great-grandchildren, Colt, Richard, Jazzy, Emma, and Autumn; her father, Mack Ed Huskey; her grandchildren’s mothers, Evon Windom and Pam Walker; her sister, Joyce Huskey; her brothers, Charles and Michael Huskey; her close friends, Adeline Brackett and Jan Hodgnet; nieces, nephews, and other relatives. The England family will receive friends on Tuesday, March 26, 2019 from 5:00 until 8:00 p.m. at Max Brannon and Sons Funeral Home. The funeral service will be conducted on Wednesday, March 27, 2019 at 11:00 a.m. from the chapel of Max Brannon and Sons Funeral Home. Burial will follow at Pine Chapel Cemetery. Rev. Eddie Brannon will officiate. Friends may sign the online guest register at www.maxbrannonandsons.com. Arrangements are by Max Brannon and Sons Funeral Home of Calhoun.